Thank you so much for responding to my previous e-mail about the color version of your Love Covers embroidery designs. 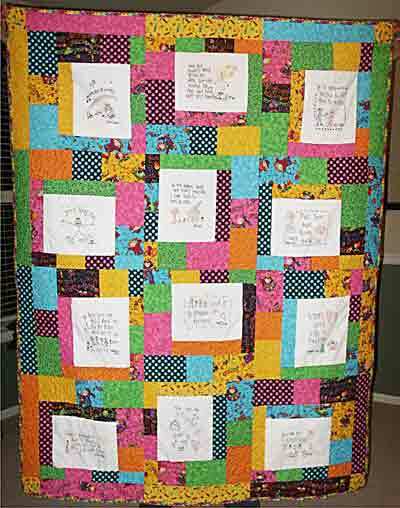 I am attaching a picture of my version of your great designs in a color - full quilt. Hope you enjoy it.